FORT WORTH, Texas, March 10, 2015 – Baird, an international, employee-owned wealth management, capital markets, private equity and asset management firm, announced today that it has added The GCE Group, to its Fort Worth, Texas, office, which now includes 25 wealth management professionals. The team, joining from UBS Financial Services, brings nearly 80 years of combined industry experience to Baird. The GCE Group includes Financial Advisors Rebecca Gadus, AWMA®, Senior Vice President; Jeffrey Carroll, Vice President; and Tyson Eubanks, CRPC®, Vice President. 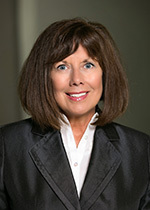 The team is joined by Senior Client Specialist Sheri Burns. Rebecca Gadus started her career in the financial services industry in 1992 with the former brokerage firm J.C. Bradford, staying there through its acquisition by Paine Webber in 2000. She then moved to Wachovia Securities in 2001 before joining UBS in 2004. Gadus lives in Weatherford, Texas, with her husband David. 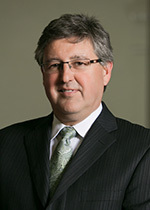 Prior to joining UBS in 2004, Jeffrey Carroll was a financial advisor with Wachovia and Merrill Lynch, where he began his career in 1992. He earned a bachelor’s of business administration degree in finance from the University of North Texas. Carroll lives in North Richland Hills, Texas, with his wife Kimberly. They have two adult children. 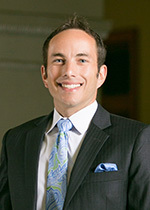 Tyson Eubanks began his career as a financial advisor in 2008 with UBS. He holds a bachelor’s degree in business administration from The University of Texas at Arlington and is a founder and board member of the school’s Business Alumni Society. Eubanks lives in Arlington, Texas, with his wife Lacie. Baird’s wealth management business encompasses more than 800 financial advisors serving clients through more than 80 offices in 26 states, and has client assets of more than $100 billion. Last year, Baird acquired the former McAdams Wright Ragen, Inc. (MWR), an investment firm headquartered in Seattle. As a result, more than 80 financial advisors from six offices in Washington state (Anacortes, Bellevue, Mount Vernon, Seattle, Spokane and Yakima) and one office in Portland, Ore., joined Baird. Baird is an employee-owned, international wealth management, capital markets, private equity and asset management firm with offices in the United States, Europe and Asia. Established in 1919, Baird has more than 3,100 associates serving the needs of individual, corporate, institutional and municipal clients. Baird has more than $145billion in client assets. Committed to being a great place to work, Baird ranked No. 5 on FORTUNE’s 100 Best Companies to Work For in 2015 – its 12th consecutive year on the list. Baird’s principal operating subsidiaries are Robert W. Baird & Co. in the United States and Robert W. Baird Group Ltd. in Europe. Baird also has an operating subsidiary in Asia supporting Baird’s investment banking and private equity operations. For more information, please visit Baird’s Web site at www.rwbaird.com.